After having some experience with seabirds in Scotland, Norway, Canada and Alaska we wanted to watch and photograph penguins in Antarctica and the sub Antarctic islands: But how to get there? There is no possibility of individual travel in and around this huge continent. So after some research we decided to use a cruise ship as a base for our travel plans. 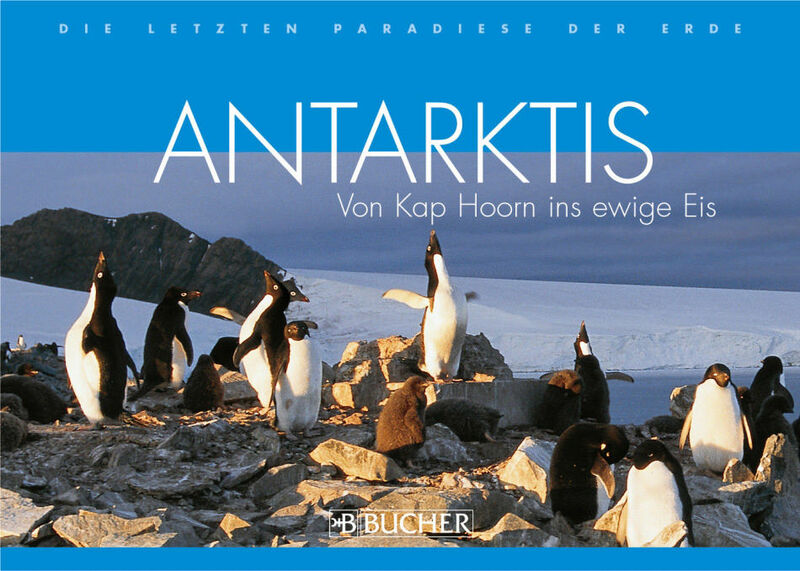 Fortunately in 1993 we were asked to share a book project on Antarctica by a German (Munich based) publisher. They had already sent a photographer to Antarctica and needed text material on nature, ecology and species accounts. Both of our studies we cramped with scientific stuff on exactly these topics. So we did half of the books text. The other half – a text essay – was done by a well known travel author. This book appeared during spring 1994 sold very well. So we used it to appeal for jobs as bilingual biology and geography lecturers on the German- an US-managed ship “World Discoverer.” We were invited to come to the agency in Hamburg and… we got our favourite trips! 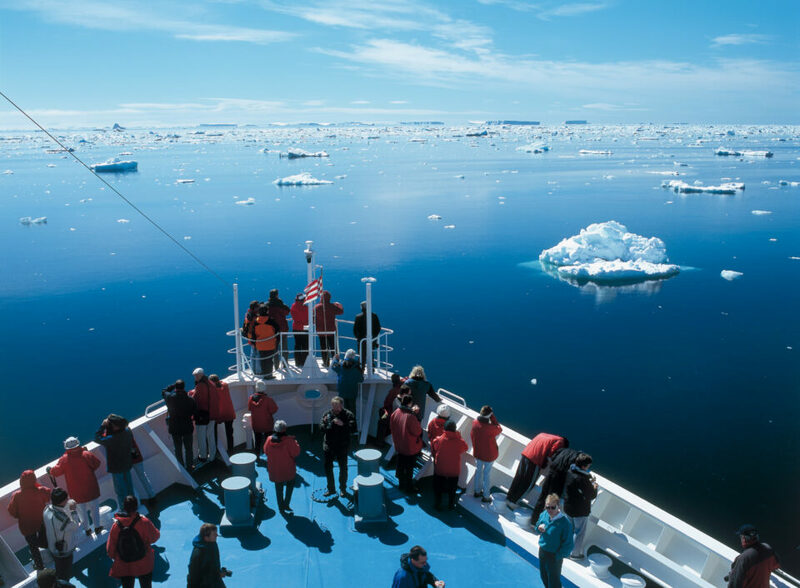 This very first travel to Antarctica was starting in December 1995 and finished end of January 1996. 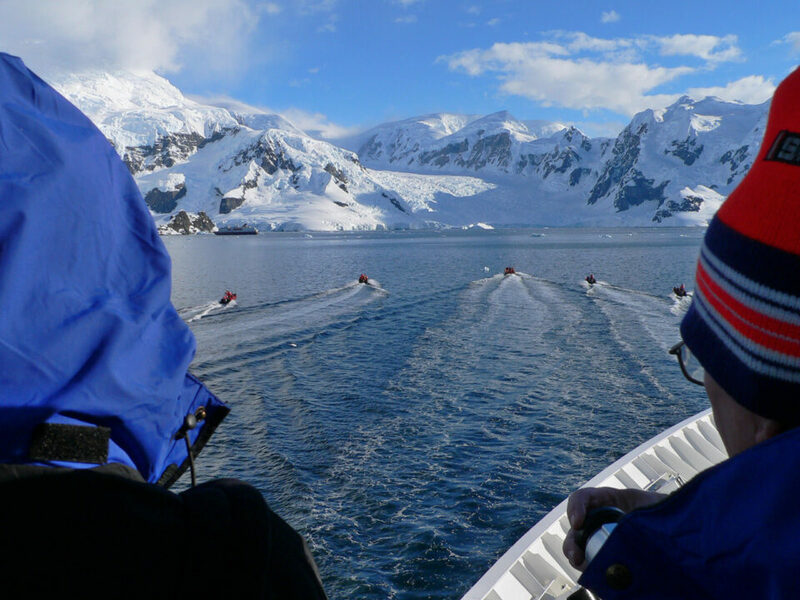 We were very lucky to get two trips each from Ushuaia, crossing the Drake Passages screaming 50 ties and going strait to South Shetland and the western Antarctic Peninsula. The second trip was even better. 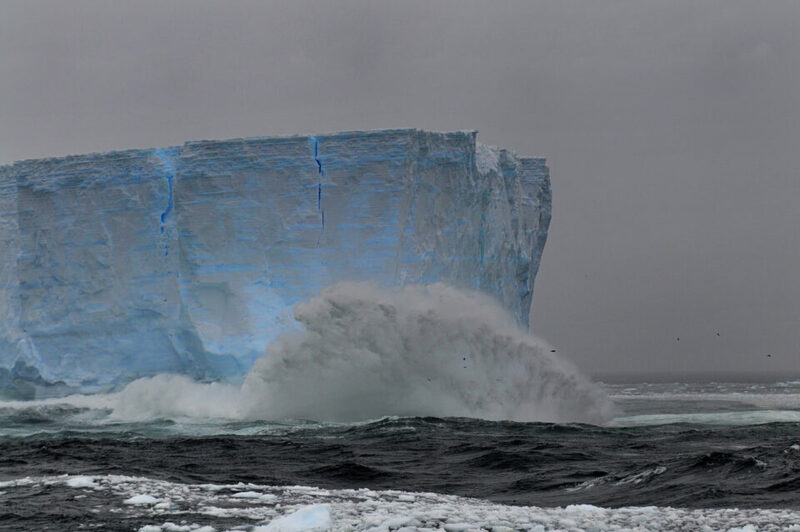 Its first part was similar, but than we also went to the east side of the Antarctic Peninsula into the Weddell Sea with lots of huge icebergs and than to South Orkney, further on to South Georgia and even to the Falkland Islands. These two trips covered 90% of all possible Penguin sites between South America and Antarctica! For us is was like heaven. So I packed really a load (about 50 kilograms) of camera gear: one Mamiya and four Nikon bodies, about 14 lenses to cover every possible opportunity. 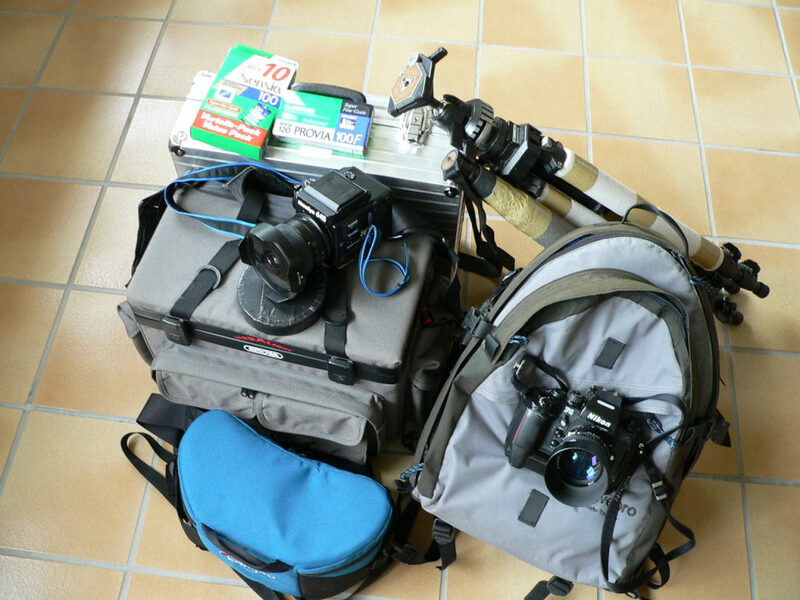 It sums up to about 60 kilogram carry on luggage, including 300 rolls of Velvia 50 and Sensia 100 film and an additional bag with 10 kilos of slides (haha, in 1995 there were no laptops with powerpoint available, we used Kodak Carrousel projectors) and books for the lectures. Two tripods, my big Linhof studio and a smaller Manfrotto 055B each with ballhead, were put into the big bags. We flew from Frankfurt to Santiago de Chile, stayed over night in a nice hotel and in the next morning on a charter flight we went strait to Ushuaia (Tierra del Fuego) where we got on our ship. Excluding the night at the hotel, it took us 42 hours from our home near Cologne to get there. Group travel was a real new experience for us, we were accompanied by about a hundred Antarctic crazy people from all over Europe. Acting as staff, not crew, we got a nice cabin with bull eye window, two comfortable beds, a private bath, but only very little space to put our things. Much less than we were used to have in our motor home. The cover of our Antarctica book (2006) is showing a very small part of the super-cluster colony of Adelie Penguins at Hope Bay. The picture comprises of the left part of a panorama of the whole Bay. We were lucky to get some evening light. For the next two days our duty was to give an overview on the biology and ecology of penguins, other seabirds, whales and seals. And a bit of the geographical aspects of western Antarctica, while crossing the Drake Passage. 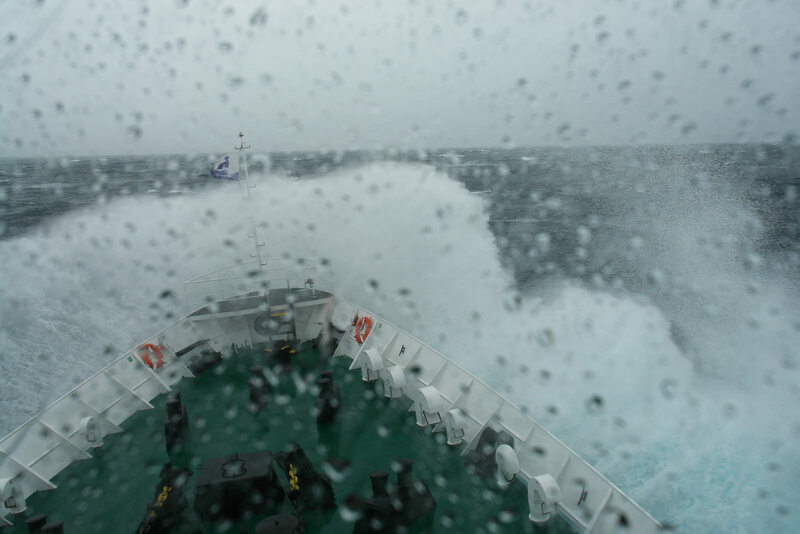 With no problems of sea sickness on my side the rest of the time I was out on the different decks to check for photo opportunities, viewing angles and the best sites to capture whales and seabirds. Every time out on the decks I carried my F4s with an AF 4/300 tele-lens and a mid-range zoom on my manual FM2 with me. Coming closer to the icy continent the photo opportunities got better. 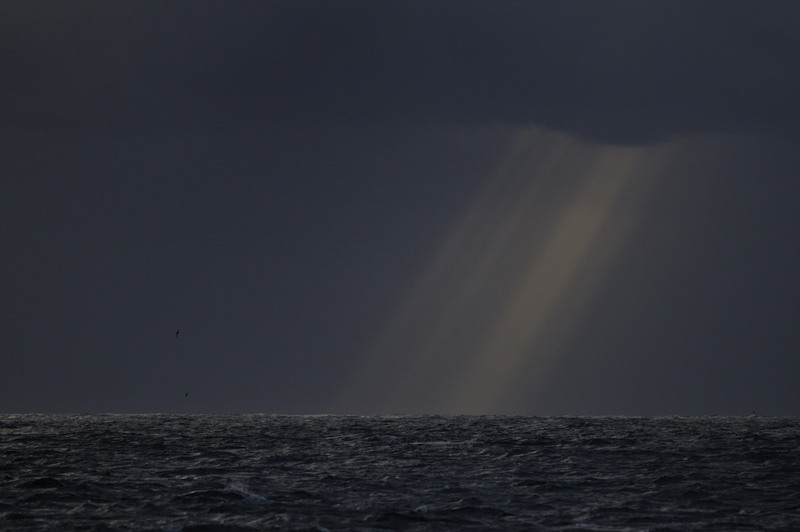 I was able to capture some lonely Wandering Albatrosses, Humpback Whales and we were accompanied by hundreds of Cape Petrels. 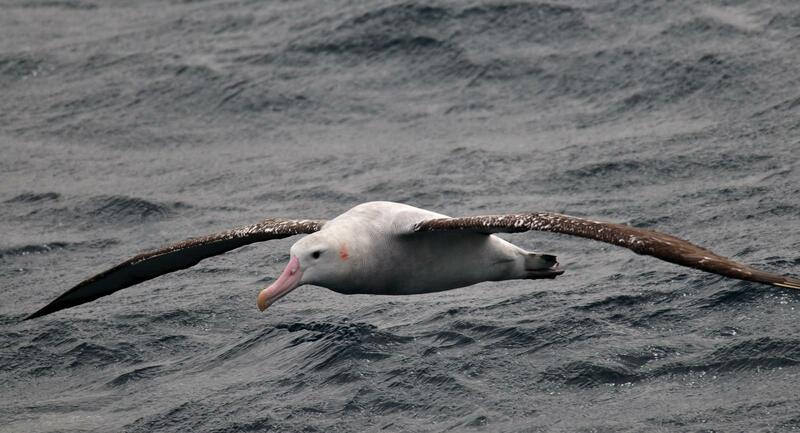 Wandering Albatross in its typical flight shortly over the waves. I found a good site on the stern of the ship, just 8 ft. above sea level. So what you really need is one APS-C camera with a 18-300 mm to cover everything. This set up would be also good enough to publish in (your local) newspapers, the internet or giving Powerpoint slide talks. You could also use a set of 18-55mm and a 55-200 lenses with a second body as back up. Micro Four Third cameras would be fine, too. So called “Full Frame” (24 x 36 mm) sensors would be nice to have. Here a 28-300mm would do. I, myself use both sensor sizes with my D300 and D700 Nikons. And, by the way, I am not very fond of these can-do-everything-zooms. Since many years I am used to a variety of different Nikon lenses. The D300 with AF-S 4/300 for the longer reach and the D700 with some wide angle primes for the quality (occasionally the AF-D 2,8/14mm and always the manual AIS 2,8/24, AI 2/35 and AIS 2,8/55 micro because of there built and optical quality). My mid-range zoom is an old AF 3,5-4,5/28-85 N, which is optically really superb. And on the long end I switched from the heavy AF 2,8/80-200 to the more light weight AF-S 4/70-200 VR. But using the old one as a back-up zoom. Both AF-S lenses can be combined with the 1,4x Nikon extender TC 14eII. Both bodies can be combined with the MB-D 10 Speed Kit. This gives 8 frames per second on the D700 and can also to be used with AA sized batteries. Both cameras also share the same chargers and EL-3e batteries. 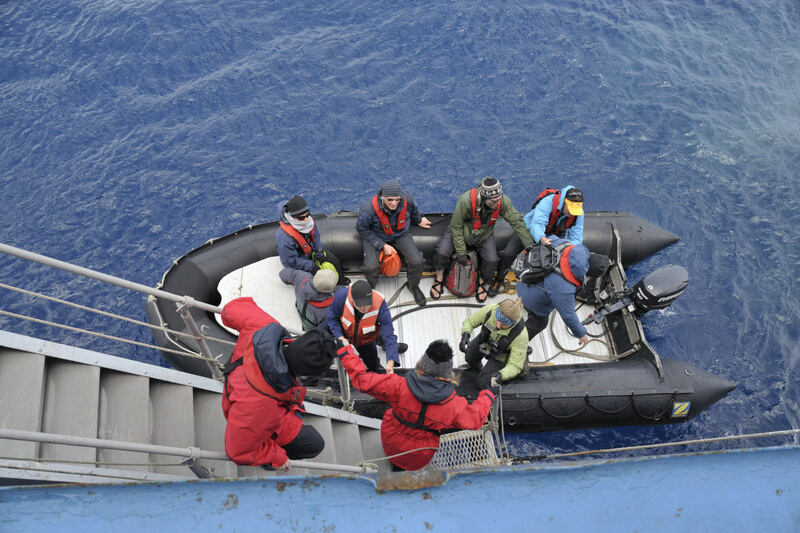 Bring also at least three batteries for your camera: one in the cam, one spare always in the pocket of your trousers to keep it warm and one in the cabin loading. Keep in mind that mirrorless bodies have a higher power consumption and small batteries, so bring 5 batteries minimum. As long as the weather is quite dry and the light is good, I still use my film Mamiya with waist level finder, Gossen Variosix Spotmeter and three lenses: 55, 80 and 150mm. On the moving ship never use a tripod due to the vibration of the engines. Everything has to be done handheld. The formula for sharp pictures on land is: 1/focal length x 2. That would be at 50mm 1/100 sec. On the ship please double this value to 1/focal length x 4 = 1/200 sec. On a zodiac double again – never go below 1/500 sec. with your mid-range zoom. That’s why high ISO is often more important than high resolution. For landscapes from the ships deck my preferred camera settings are fully manual or aperture priority to control the depth of field, “low” ISO and always checking for enough speed. The AF setting is always “single shot” and choosing the AF point manual, because otherwise you might fail. On the zodiac photography is much more documentary and photojournalism. You have to be quick with your camera. So use shutter priority with 1/1000 sec. minimum depending on the speed of the Zodiac and apply ISO automatic. For flying birds and the occasional whale my 300 prime is always wide open, on aperture priority, and the ISO setting in manual mode according to gain enough speed. But you could also use ISO automatic (ISO 400-3200) as well. If you like to capture smaller birds like petrels the 1.4x extender might be a good idea. Tabular iceberg during storm. The Wandering Albatross with a wing span of more than 3,6 meters (12 foot) give an idea how huge this piece of ice might be. From radar measurement we got the following figures: length 8km, width 4km, hight over the waterline 35 meters, calculating additional 140m under water, distance 600m. I also shot many landscapes with the 300mm on my D700. An other possibility to capture nice frames is to bring the ship itself and its people into the picture, either to frame a landscape, or to show the magnitude of an iceberg. Than the mid-range zoom is the one. If you take a strong wide angle instead, you get a big foreground (ship and/or people) but the landscape will be too small for my taste. So the 35mm on my D700 and the 55mm in case of medium film format are my preferred focal length for that kind of work. To capture people and photo situations on the zodiac some times a wide angle zoom like a 18-35 helps but normally my 28-85 works well enough. Landscapes – you can either take a tele shot or a pano like this “luminous” one… © Renate Kostrzewa with Lumix FZ20, 240mm equiv. Or a landscape framed by people and the ship © Renate Kostrzewa with Lumix FZ20, 32mm equiv.